I spent the last few days at a writers’ conference in Mesa. My emotions ran the full gamut over my time there. I began by being extremely rushed, panicked, and frantic. (are those all the same thing?) I had forgotten (neglected to check) what time the events actually started, so I was pleasantly surprised (horrified) when my dear writer friend CS texted to ask what table I wanted to be at for the critique group Thursday night. ummmmmm I was just leaving work and headed to Target to pick up water for the field trip the next day. Tonight?? Did I sign up for that? Holy crap. I’m pretty sure my guardian angel called in some favors and got a crew to help me for the next two hours. I was somehow able to get my shopping done, get a friend to take water duty, do some laundry, pack, eat a snack (or two), find the story I wanted on my computer, go to Staples (cuz my printer wouldn’t play nice), print out my story, drive to Mesa, check into my hotel, brush my hair, put on lipstick, and get to the critique five minutes early. Oh, and I said HI and BYE to the kids. Most of them. Whew! I love doing critque groups with other writers. Nobody wants to bash or destroy another author so we all dig deep to give positive feedback. Do unto others…… We don’t leave out helpful suggestions tho, so it is really quite helpful. The story I took was a new YA novel I am working on that is a bit out of my normal groove. I have a real connection with the story because it is about a family trying to deal with the death of the father….sound familiar? “Write what you know….” I think it will be good and will most likely be posting parts of it as I go online. Something I learned about at the conference. The second day at conference, Friday, was also an emotion day but more in a roller coaster form. I started the day at the “All-Star breakfast” with other writers that registered early and visiting dignitaries. Our ‘special guests’ were agents looking for writers to sign. I had scheduled two pitch sessions back in October when my dreams were very vague and large….another thing I had forgotten. I ended up sitting at a table with some very accomplished ladies and man, and feeling like I was a complete imposter and loser. Uhg. Lucky for me, my pitch was one of the first things I did after Breakfast. I ended up pitching a couple books to the lady I ate breakfast next to. yowzers. I put on my best game face and rocked it! She asked for both books. Yay me! Now I just need to do the polishing and send them off. Sound easy? HA! Nothing makes a writer feel better than someone liking their work. 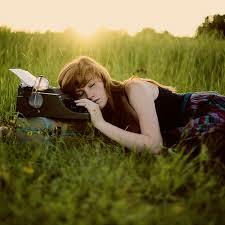 We may all say, “I write for me…” but I’d venture to say that is a bold faced lie for most of us. I want words of affirmation!! Please like me! wah wah wah!! I went to a lot of classes that made me laugh, made me say….”Ahhh!”, and made me want to quit. I’m not quitting. I may not be Jenni James or Stephen King or J.K. Rowling, but I have a voice and stories and things to say and by golly, I’m gonna say them! Oh, write them…..you know what I mean. New goals have been set. Plans have been made. Skills have been honed ( a bit), and I’m ready to rock this! Cause I said so. This entry was posted in Beckie and tagged agents, anwa, conference, J.K. Rowling, Jenni James, Stephen King, writing. Bookmark the permalink. You go girl! You can do anything you set your mind to. You are amazing. You are talented. You are important! I can’t wait to find your books on the shelves of my local bookstore! So continue on! You can, will and DO succeed!!!! You are most talented and gifted. I like your words, the pictures you paint, the feelings you evoke. Press on!